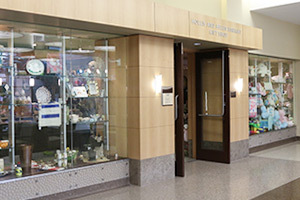 The Baright Gift Shop at Methodist Women’s Hospital offers a wide selection of baby items, women’s and baby apparel, giftware, jewelry, cards, flowers, magazines, candy and sundries. As a volunteer run gift shop, all proceeds go toward a designated area of support for the hospital. Please do not give gifts of plants or flowers to patients in Critical Care or bring latex balloons into the hospital. Monday – Thursday: 9 a.m. – 7 p.m.
Friday: 9 a.m. – 4:30 p.m.
Saturday & Sunday: noon – 4 p.m.